Super pumped to introduce my friend Molly Ritter on the blog today! Molly is a working actress and model in Los Angeles and she loves food (lol who doesn’t)? 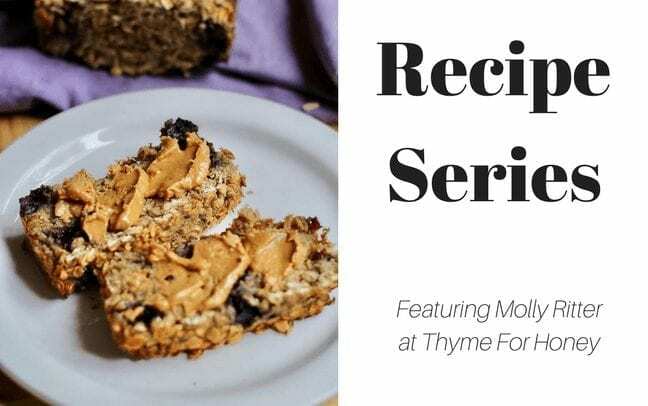 She created the blog Thyme for Honey to show how and what she eats to maintain a lean, toned physique by making dishes rich in vegetables, low in grains, dairy, and sugar….yet still delicious. Hiding veggies is kind of her thing so I’m INTO THAT. It’s tough to get veggies in especially with a busy schedule and not a lot of prep time. You guys know I like convenience and have a major sweet tooth. Molly’s first recipe is drool worthy, so I highly recommend it. I love what Molly’s motto about food. She says, while food is necessary to our survival, I believe that it can be so much more. It is bonding, comforting, artistic, creative, and healing. It holds our family’s secrets and memories. It brings people together, gives us an excuse to take a break from the busy bustle of life, sit down, and do something nice for ourselves. So why not make it healthy and delicious?” Can I get an AMEN?? Today she is sharing two of her favorite recipes as of lately. 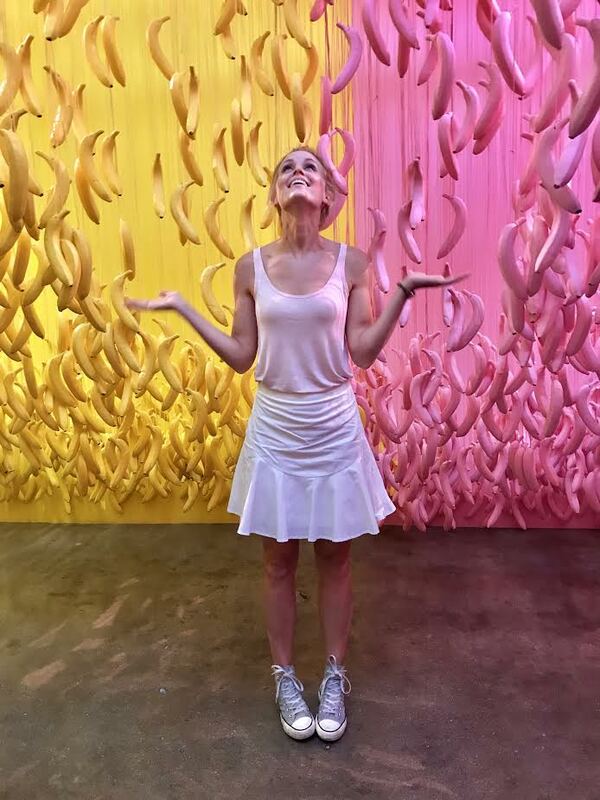 You can always find more on her blog and/or instagram! -Butter or spray a loaf pan and set aside. -In a medium mixing bowl, mash the bananas, then add in the rest of the ingredients in the order they are listed. I mix everything together with a fork. Bake 45 minutes. -This recipe is very forgiving, the only ingredient I ever measure, are the oats. And it comes out tasting great every time. 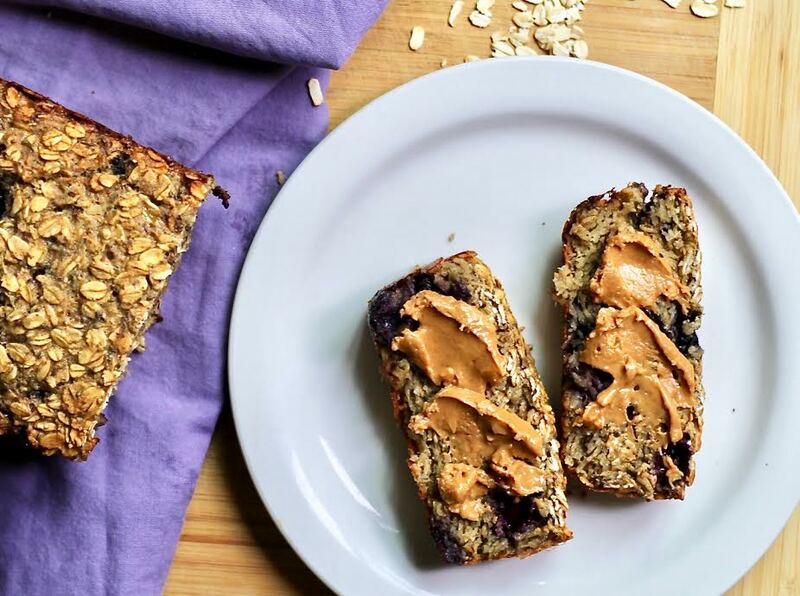 -Slice and serve with your favorite nut butter, grass-fed butter (my fave), or enjoy plain! Ritter says the blueberry bake is her go-to breakfast and the soup below is her favorite heart-warming dinner. 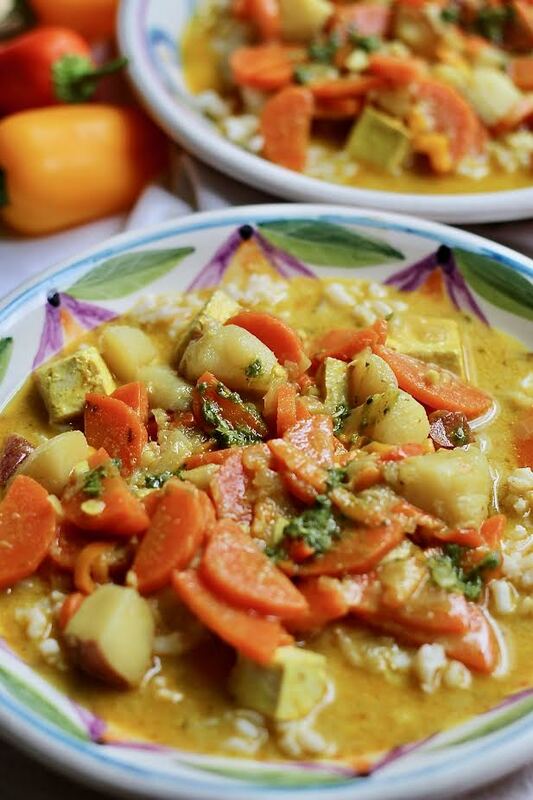 I’ve been super into curry flavor everything lately! I swear it only happens in the winter time but I could practically eat soup with every meal. 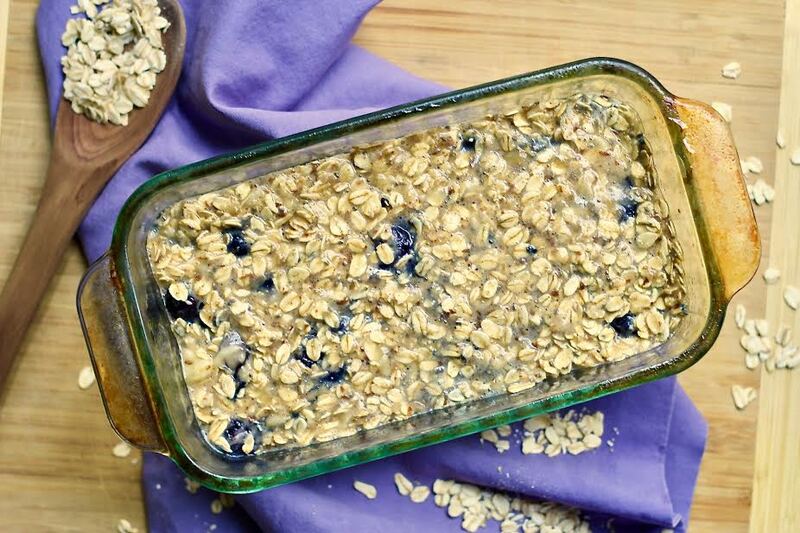 And I don’t even have to describe my love for oats and nut butter so I will 100% be making the blueberry bake every week! Place a medium soup pot over medium heat with 2 tablespoons of olive oil. Dice the onion and sauté until it becomes translucent, about 5 minutes, stirring frequently. While the onion cooks, peel and dice the carrots, peppers, and potatoes. Add the veggies to the pot and give it a good stir. Mince the garlic and fresh ginger (a microplane or the small side of a cheese grater works great for this too). Toss in these as well as the other spices and allow to cook for a few minutes. This will bring out the flavors. Next comes the soy sauce, honey, Sriracha, and rice wine vinegar. And finally the coconut milk and bone broth. Increase the heat until the soup comes to a boil, then reduce the heat to a simmer and let cook, partially covered for about two hours. For the tofu: preheat the oven to 400 degrees. Drain and press out as much of the water as possible from the tofu, then cut into small squares. Line a baking dish with parchment paper or foil, then add the tofu, olive oil, and spices. I toss everything around with my hands. Bake for about 20 minutes, then add into the soup for the last hour or so of cook time. Molly is an actor and model based in Los Angeles. 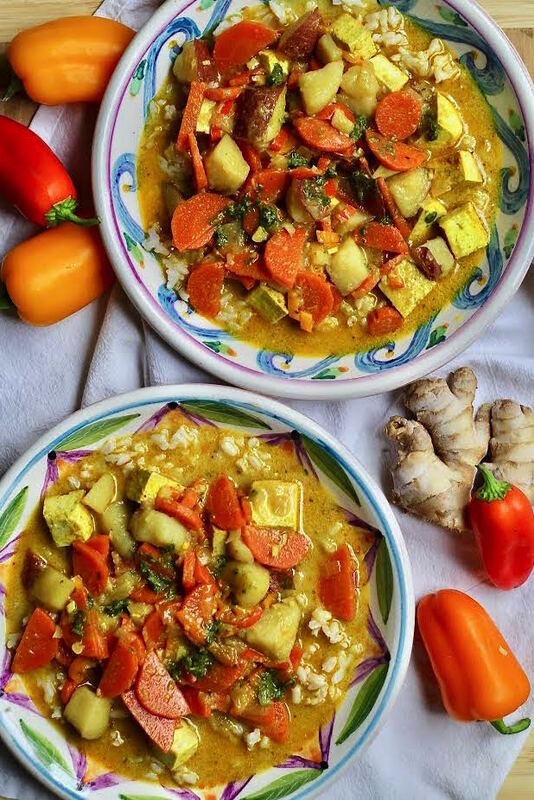 She created the blog to show how and what she eats to maintain a lean, toned physique by making dishes rich in vegetables, low in grains, dairy, and sugar, yet still delicious. Her hope is to inspire other young girls to achieve a healthy body image from the inside out. Foods and produce are bought locally whenever possible, always organic, from farmers markets when time allows.